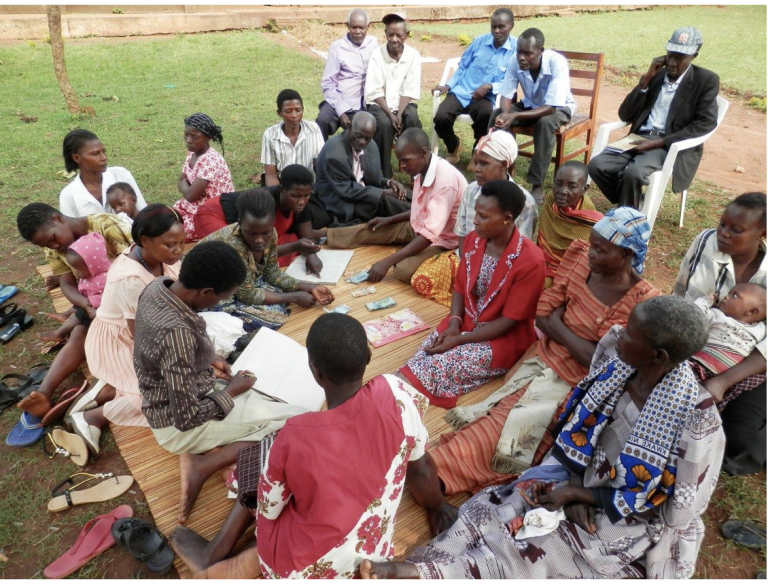 In Nabumali Parish in Nyondo Sub-county, 15 km south east of Mbale town, PONT’s partners have set up 5 new self-help groups, each with 30 members. The groups come together every Thursday to pay in savings and take out loans. 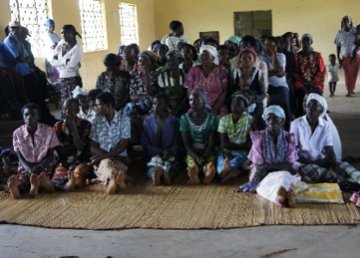 These meet-ups are also a chance for local staff to share training with the communities. 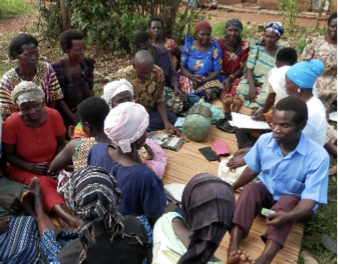 As well as topics such as nutrition, sanitation and human rights, the members have learned record keeping, leadership skills, and how to identify and develop an Income Generating Activity (IGA). And the women of Nabumali are running with it. The groups recently reported that due to the skills obtained 65% of their members are running small scale businesses. Oliver Wangalwa’s business is a new venture: “With a loan of 50,000UGX (£10) which I got from the group savings, I started a business of making Mandazi (doughnuts) and Malwa (a local brew). I always get 10,000UGX (£2) per day so in a week I’m able to save 5,000UGX (£1). Her namesake Oliver Malemo buys and sells vegetables and silver fish and also has a stone quarry. 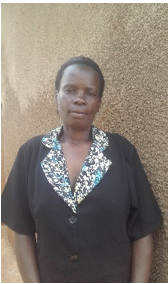 Through the group savings, her business has grown. 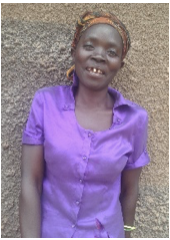 She took an initial loan of around £20 from her group to grow her capital but now she is able to sustain herself – “I get money from the quarry to put in the vegetable project or vice versa whenever there is need.” She still saves 2,000 – 3,000 UGX (about 40-60p) each week with her group. 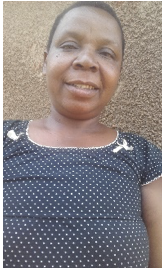 The women are all mothers: Grace (42) is married with three children, Oliver Wangalwa (46) and her husband have four, while Oliver Malemo (50) also has four children, raising them as a single mother. Saving and borrowing, growing their own businesses, has enabled them to provide for their families’ immediate needs and even invest in their futures. They speak with pride of their achievements so far. In an area where so many struggle for everyday needs, that’s quite a claim! 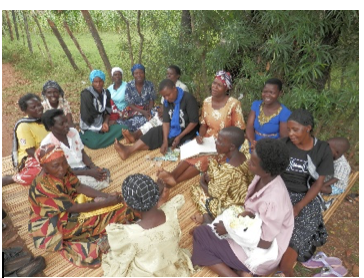 Though harvests can be unpredictable, investing in their small farms and businesses and having the support of the group makes these women and their families more resilient to the ups and downs of the dry and rainy seasons. Educating their children is an investment in their future – and with Oliver’s daughter training as a teacher the impact will just keep rippling! 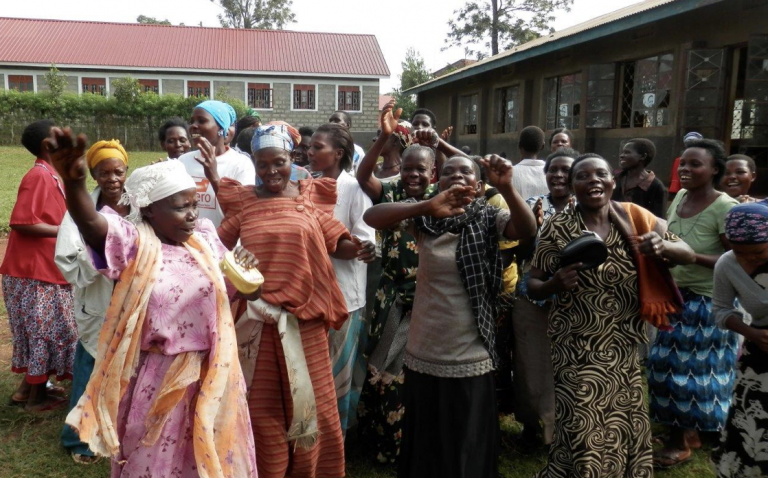 It’s no wonder the women are enthusiastic about the project. 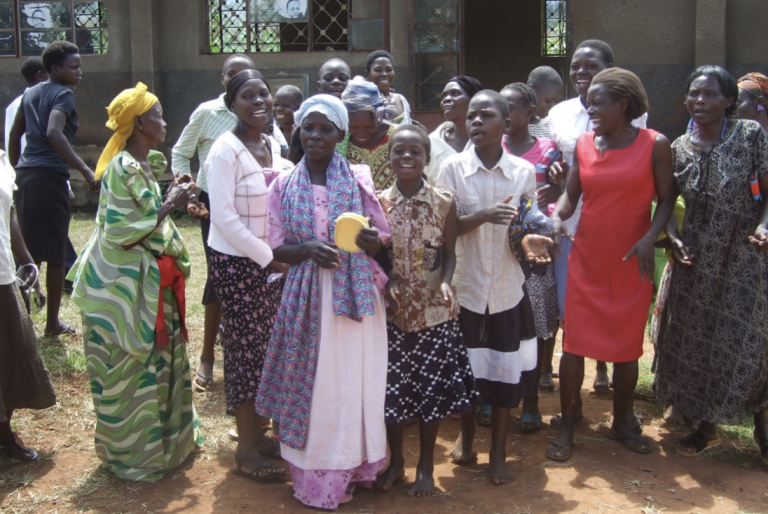 You can give more women opportunities like this by supporting PONT today.